It was a very good question posed by the brilliant entertainer Billy Flywheel at a Sportsman Dinner we attended at Belper Town Football Club, and despite being very good friends with a Dutchman, I’ve still not yet found a plausible answer. Poles started to move to the UK during the Second World War and over the course of time large, close knit communities could be found in most major towns and cities, but the enlargement of the European Union in 2004 and the relaxing of restrictions for the new ‘accession states’ that were predominantly Eastern European saw a huge influx of Poles, to the point where as a community they were the single largest foreign born in the UK. 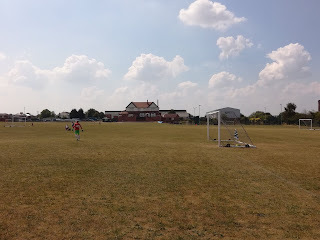 Over a million Poles are now understood to live and work in the UK, so, it was clearly only a matter of time before the communities started to form their own sporting organisations, and football was obviously very high on the agenda. United Worksop Football Club first fell onto my radar at the back end of last season when I was browsing the Midland Amateur Alliance league tables, they were a second tier side but doing pretty well, indeed they finished the season as runners up. I then spotted on social media that they had been through a ground grading process and were looking forward to life in an as yet unnamed new league. Obviously being the curious type I had a dig around and very quickly found out that this was a team with Polish roots, and on the basis that the bulk of their Facebook page was written in Polish, it was proving a bit tricky to glean any more information. However, with a bit of perseverance I discovered that they were based at the Manton Sports Club in Worksop, and the new league that they were going to join was the Sheffield County Senior League. 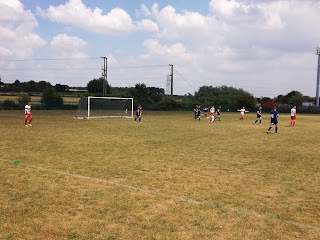 As luck would have it, the pre-season fixtures appeared on Twitter and it was the home game with fellow Polish outfit, Peterborough Polonia, that caught my attention, it became a ‘must see’ opportunity and was quickly in the diary. 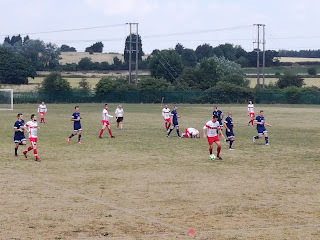 Requests on social media before the game to double check venues and kick off times were met enthusiastically and appeared to be very welcomed, so on another day straight from the Mediterranean, it was time to head to Manton. Manton is a former mining village that is essentially part of Worksop, set on the East side of the town on the road to Retford. Very much working class in its origins, the Social Club at the Sports Ground provides a real snapshot of the community. Groups of men of all ages gathered on a Saturday lunchtime to watch the horse racing and take advantage of the subsidised beer prices. But, as the barman told me, when the clock strikes four they all leave as one to go home, week in, week out. It’s tradition, and it’s probably been that way since the pit was in existence. The complex itself is huge, and was once mooted as a possible new venue for Worksop Town during one of their various periods of homelessness. A large car park meets you upon entering, while all of the facilities are directly in front of you, including the huge Social Club. 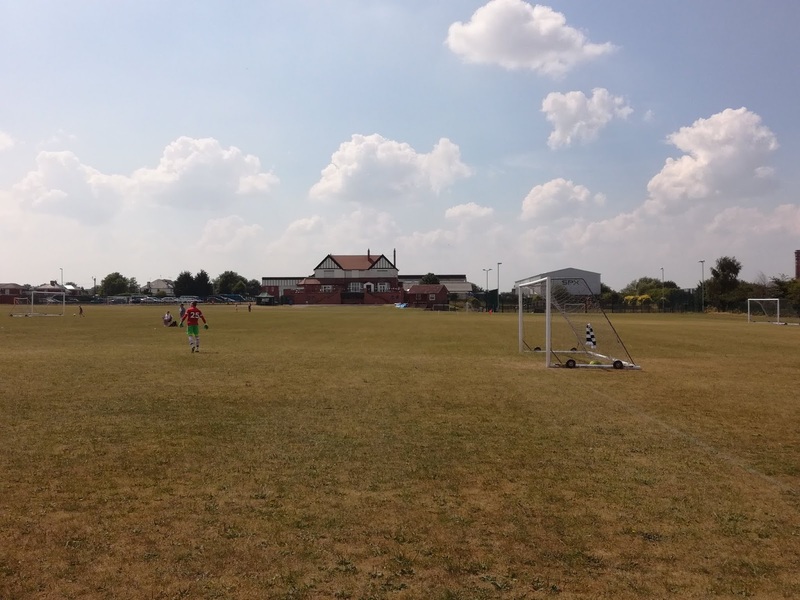 To the right is a massive expanse of sports fields, and the pitch being used by United was at the far end, probably getting on for over 300 yards away. 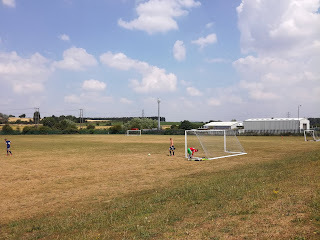 A parched playing surface could be observed from an elevated level behind the goal that backs onto the Retford Road, and that was where I took up my position to watch an encounter that intrigued me. 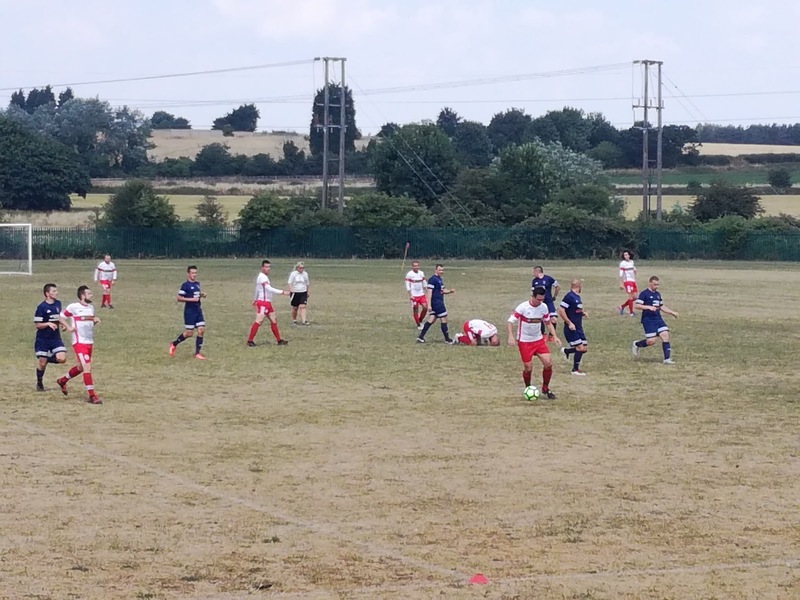 Peterborough Polonia ply their trade in the Peterborough & District League, and for this season they find themselves on the top flight which is Step 7. United Worksop are essentially Step 9 so it was going to be interesting to see how the two sides matched up. In fairness, United were the slightly better team, and deservedly took the lead in the first half that was played in sweltering heat. 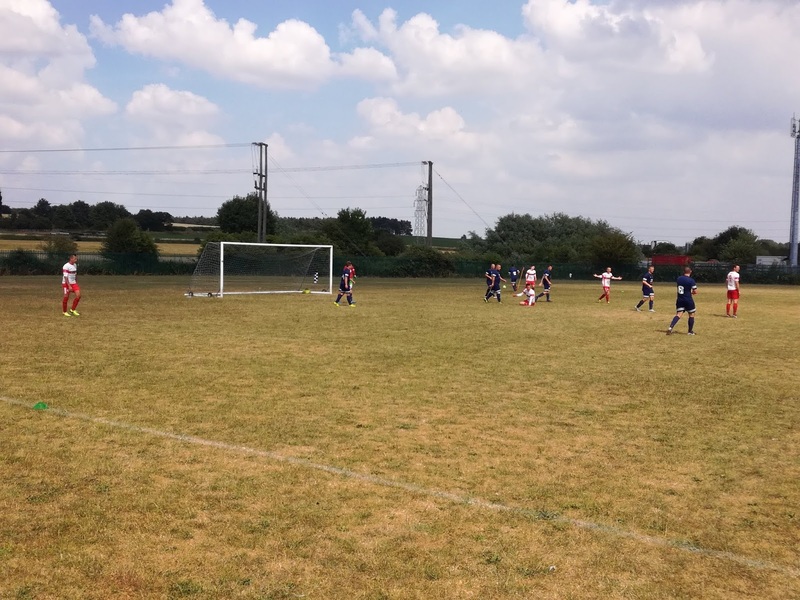 Peterborough pulled a goal back in the second period to equalise and despite a spell of pressure from the visitors, including hitting the woodwork, the Nottinghamshire side, who had a goal disallowed just about had the edge. It was difficult to assess from a standard perspective with it being pre-season and numerous substitutes, but there looked to be no reason why United wouldn’t be at the very least competitive this season, and quite possibly even look to make a swift move to the next step. 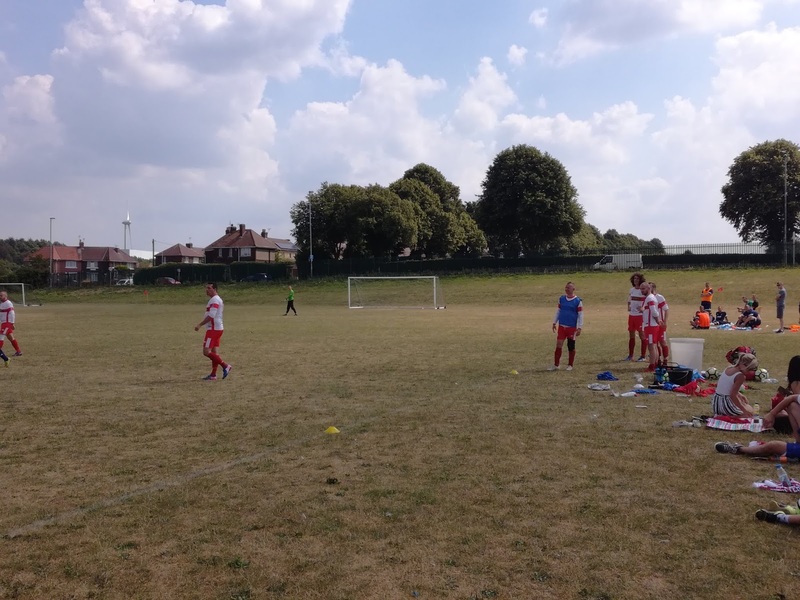 The County Senior League can be uncompromising and tough, so it will be learning curve for the players, but they certainly looked to be able to handle themselves, as well as being a more than competent outfit, as last seasons success would suggest. They are certainly a friendly club, and also one to keep an eye on, which I will be doing as the season develops, but one thing is pretty sure in the 2018-19 season, I very much doubt I’ll find out why people from Holland aren’t called ‘Holes’….